The heat and humidity of Tokyo summers can be overbearing. 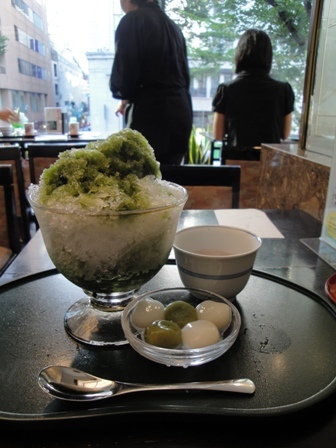 What better way to cool down than with kakigori (shaved ice sweets). As a child visiting my family in Japan in the summer that is one of my fondest memories. 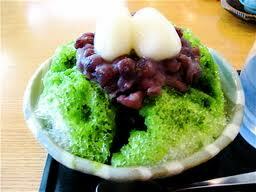 Kakigori topped with sweetened condensed milk (ask for miruku) and garnished with some sweet azuki beans. Toppings include sweet syrups, mattcha, sweetened condensed milk, fresh fruit purees (mangoes are one of my favorites), and azuki beans. 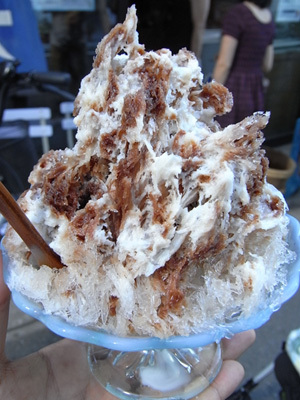 Here are some shops known for their kakigori. You can watch the ice being shaved with an old hand-cranked machine here at this very quaint shop. Interesting toppings here include Calpis, caramel, kuromitsu (brown sugar syrup), and kocha (British tea). 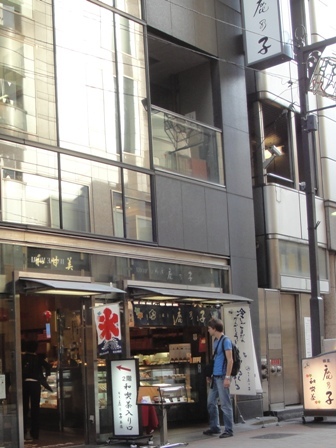 Kanoko is on the corner of the main Ginza crossing where Wako and Mitsukoshi are. 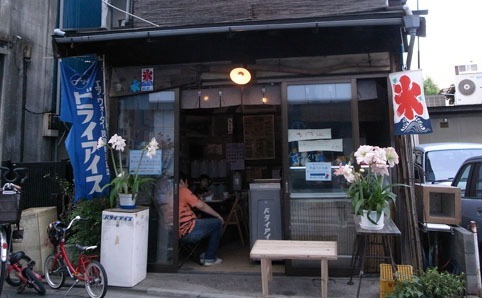 The cafe on the 2nd floor gives great views of the busy intersection and this shop is centrally located in the heart of the city.